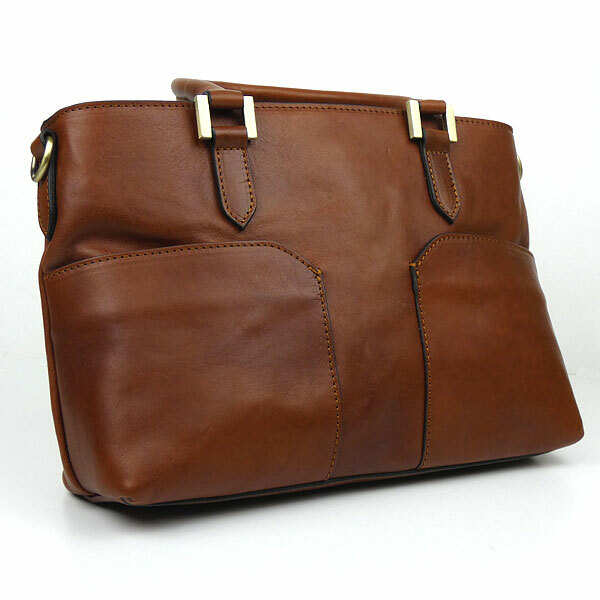 A lovely elegant Italian leather handbag in a light chocolate colour using natural vegetable dyes. By attaching the detachable strap, the bag can also be used as a shoulder bag. 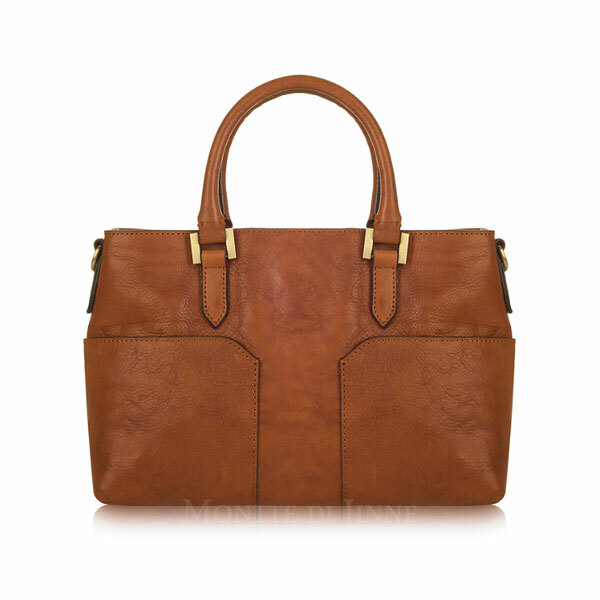 The bag has 2 straps which are attached on either side of the bag, with gold coloured metal detail. On one side of the bag are 2 lined, open pockets, the second side is plain. The handbag, which is fully lined, is divided into 2 sections by a central zipped pocket, which has leather edging at the top. The outer compartments are closed by magnetic fasteners either side of the central pocket, which means that the central pocket can be opened while leaving the sides closed. To the outer side of one of the outer compartments of the bag is a zipped, lined, pocket. The other compartment has 2 open pockets, one suitable for a mobile 'phone. The lining is in a pale bag with a repeat design "Made in Italy, Firenze"